Home Costs > How Much Does a Dumbwaiter Cost? Powerlift Dumbwaiters, a family-owned operation founded by John Reite in 1972, is similar to a small elevator, but instead of transporting people, it was designed to help transport materials from one floor to another. Historically known for bringing food from the basement into the kitchen, the uses are varied today, from bringing toting laundry from the upstairs to the basement or carrying firewood from the basement floor to the upper floors, the uses are endless. The cost of the actual dumbwaiter product will depend on the exact product you want as the company does offer a variety of options, which we will describe in the table below. As for the installation, the cost of hiring a professional contractor will depend on a few factors, including the scope of your job, the contractor you hire and your geographical region. For just the installation, be prepared to budget anywhere from $500 to $1,000 based on the research we did. 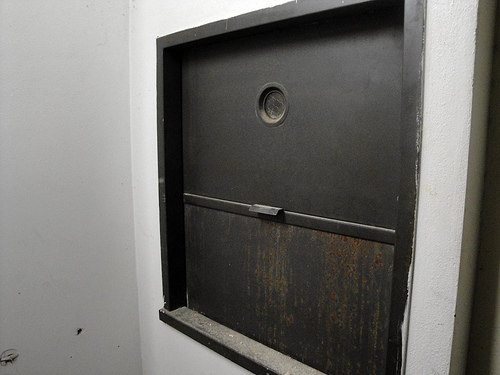 The company allows any contractor to install the dumbwaiter, and as per the FAQ, a professional will only need to build a shaft to house the dumbwaiter, making the installation “very easy,” only requiring basic tools. In some counties, however, a local code enforcement inspector may be required to see if a special license is needed, which could increase the costs mentioned above. In conclusion, the total costs, including installation, can range anywhere from $4,400 to as much as $14,000+ in total. In this New York Times article, for example, they noted a basic dumbwaiter can start at $4,000 and can be installed by a do-it-yourselfer; however, if you were to hire a contractor, a standard, two-stop dumbwaiter can cost another $750 or so. The number following the series indicates the weight capacity; for example, the Powerlift 200 will have a 200-pound weight limit, whereas the 500 series has a 500-pound weight limit. Today, most elevators are powered by electricity but some manual models can be found, which are designed to be pulled up and down via a pulley system. As for the stops indicated in the price section, this simply indicates how many stops the elevator can make as it goes up and down the floor, with five and six stop dumbwaiter elevators available for an additional cost. While the company does not note the price, they do ask you to call them for prices. At a minimum, all models are designed to make at least two stops, but according to SilverCross.com, there are some options that can offer an unlimited amount of stops. All models can be opened on any three sides at no additional charge. All of the low voltage wirings will come prewired with plugs for easy installation, as well as furnished call/send buttons, door locks and safety switches. The motor can be mounted either at the top or bottom. Powder coated car, rail assembly and trolley. All residential dumbwaiters come with a 5-year, parts only, limited warranty, while the commercial versions come with a two-year, parts-only, limited warranty. The average installation job will take anywhere from two to five hours, with the total time dependent upon how many accessories and/or stops are required. Each stop, as per the official FAQ, should take about 60 minutes each to install. On average, dumbwaiters can travel 20 to 30 feet per minute, with higher-end models traveling upwards of 50. A permit may be required before you hire a contractor. To know for certain, talk with your local code enforcement office to see if a permit is required. Maintenance is very minimal, according to the official company’s website, with only bi-annual maintenance required such as checking the chain tension and adjusting and/or lubricating as needed.